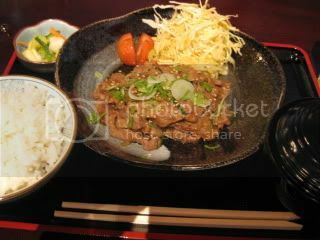 I had lunch twice last week at one of my regular Downtown spots...Aburiya Toranoko in Little Tokyo. Buta-no shoga-yaki (ginger-marinated sauteed pork) with miso soup and rice. Very nice. And, it was only $10! 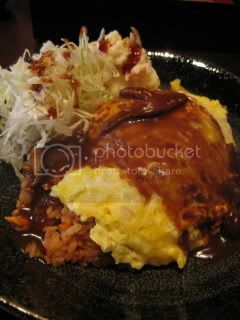 Jidori chicken "Omuraisu" (omelet rice). Tasted so "natsukashii" (nostalgic) Japan. It was also only $10, and came with miso soup and salad. It was a nice power lunch after hard work-out and swimming just before lunch.